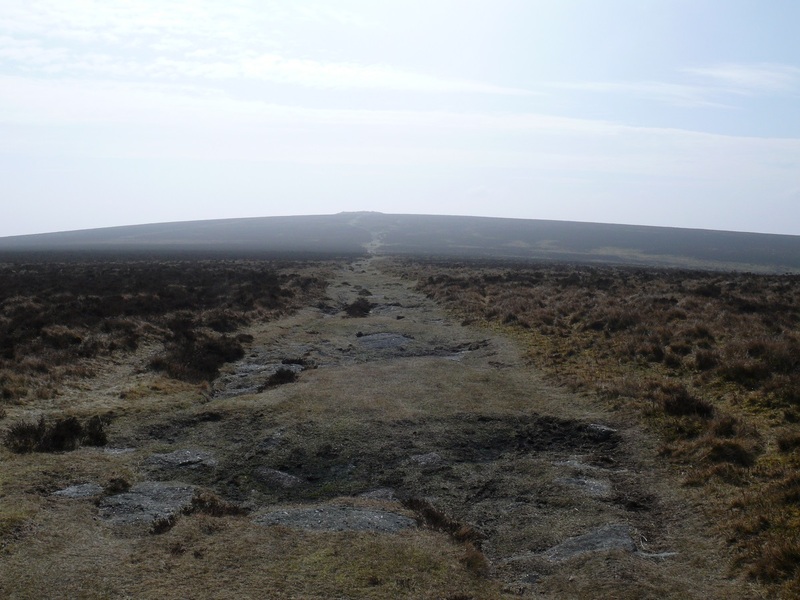 Hameldown Tor is situated above the Bronze Age settlement of Grimspound and there are a few parking spots along the nearby road from which to make an ascent. 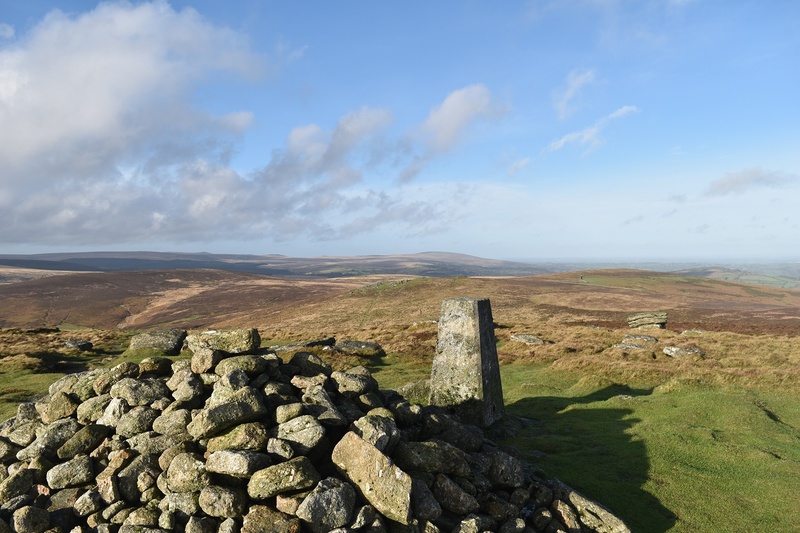 Lying on the eastern side of Dartmoor, Hameldown Tor has fantastic far reaching views and is one of the tallest tors in this part of Dartmoor. 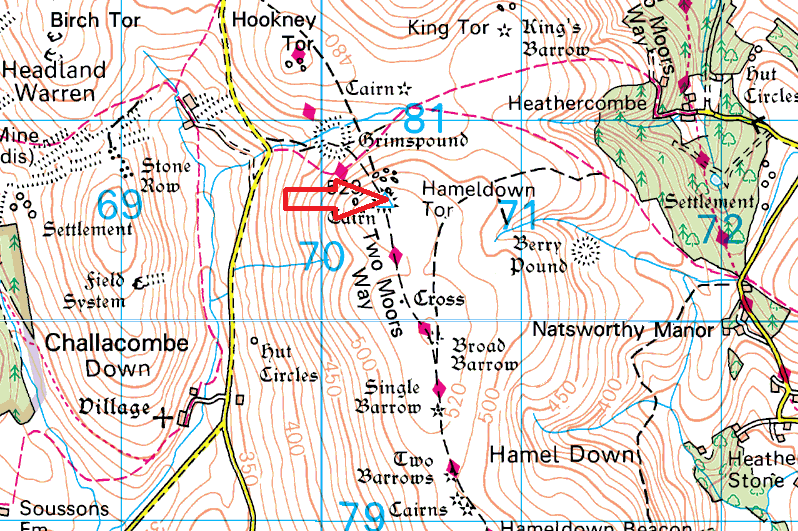 Hameldown Tor is also on the popular Two Moors way and can easily be linked with other tors and hills along its route. There are no military firing areas near this tor. 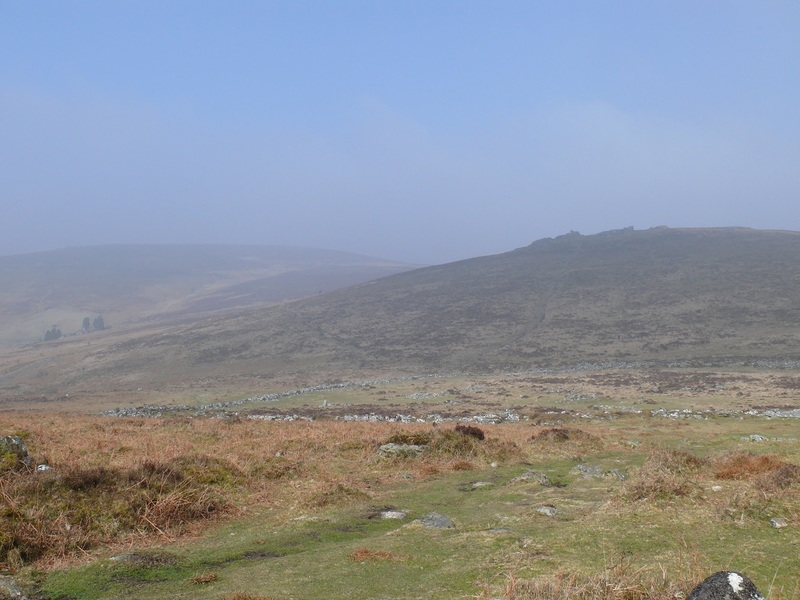 Grimspound from the climb to Hameldown Tor. 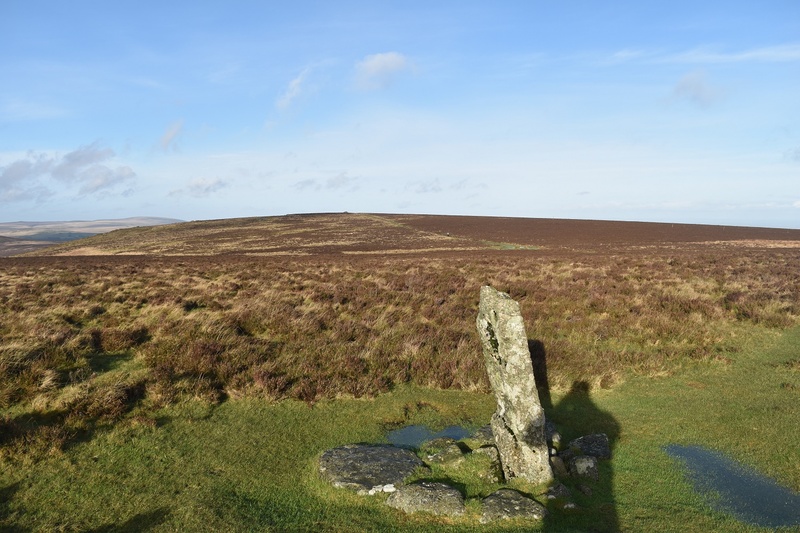 Hookney Tor to the right.